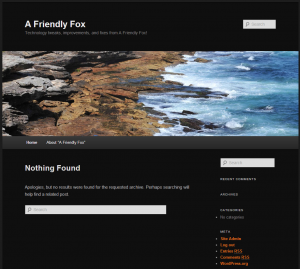 A Friendly Fox - Technology tweaks, improvements, and fixes. Here we go! I’m very excited to start creating content for A Friendly Fox. 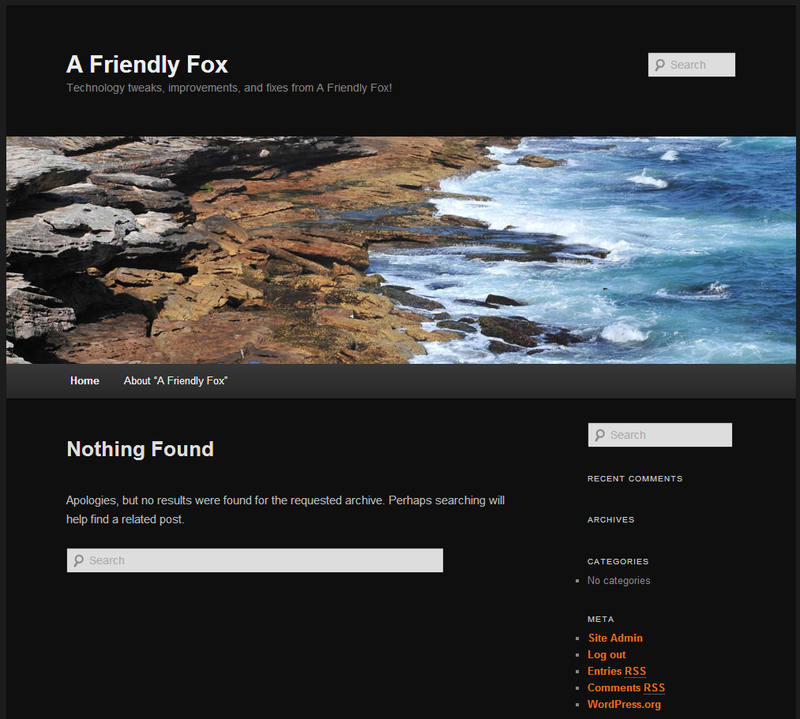 Head on over to the “About ‘A Friendly Fox'” page for more information regarding what I’d like this site to become. Here’s what the site currently looks like. I expect the look of my site to change very quickly.